Our Hawaii Warriors Mini Flag is made of double-sided 100% Nylon, measures 12x18 inches in size, has double stitched fly-ends, and two metal grommets for attaching to your pole mount or for hanging on a wall. 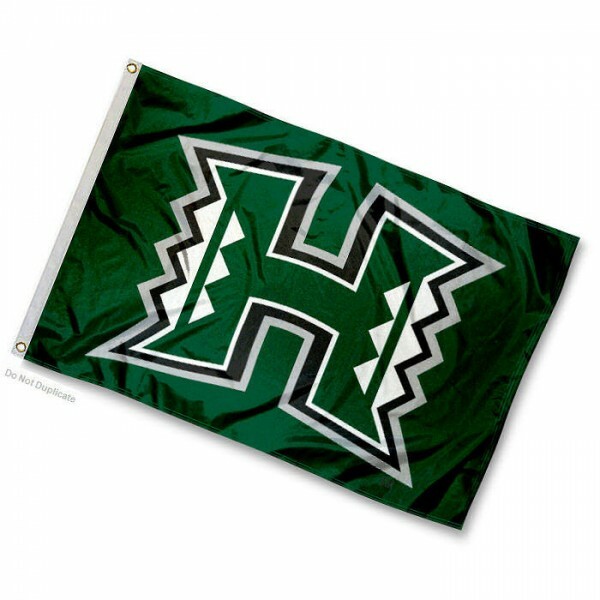 The college logos are screen printed into the Hawaii Warriors Mini Flag so they remain colorfast and resist fading. Since this flag is 2-ply constructed, our Hawaii Warriors Mini Flag is viewable and readable correctly on both sides. These college mini flags are Officially Licensed by the selected school and NCAA.